This week our powerful Kids Off Nauru campaign achieved a tipping point. ASRC Campaign Manager, Marcella Brassett, shares the political impact thousands in our community have had. This week, the powerful Kids Off Nauru campaign achieved a tipping point in Canberra. The issue stayed dominant in Australia’s media, with coverage of doctors, medical practitioners and MPs calling for the medical evacuation of children and their families off Nauru to Australia for proper medical treatment to save their lives. The week began with a packed out candidates forum for the Wentworth by-lection where independent candidate Dr Kerryn Phelps committed to advocating for people seeking asylum in Australia to have access to Status Resolution Support Services, and to fighting the government’s offshore detention policy. 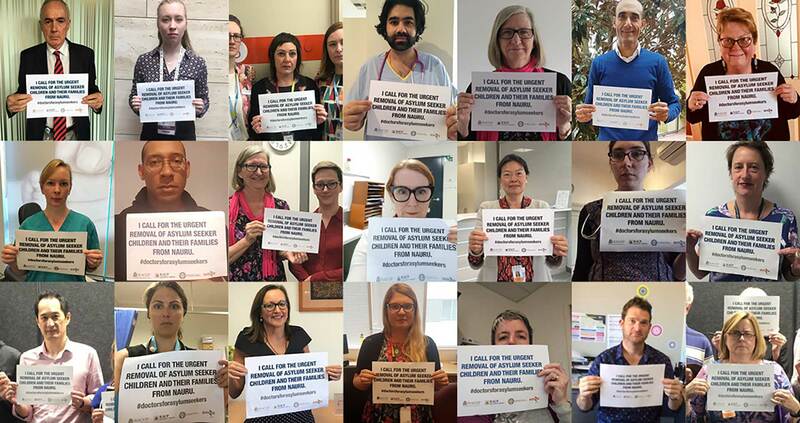 The campaign hit a peak with almost 6000 doctors signing an open letter to PM Scott Morrison calling for the evacuation of children off Nauru to Australian for medical treatment. National days of action were further held this week by Rural Australians for Refugees in Canberra as well the Academics for Refugees and the National Tertiary Education Union. As a result, the Prime Minister and the Opposition Leader are under huge pressure to get children and their families off Nauru, via the New Zealand deal or medical transfer to Australia. Six MPs altogether publicly called for an urgent evacuation of children to Australia for live saving medical treatment. Together we have made it nearly impossible for the government ignore their responsibility for their offshore processing policy failure. Liberal MPs, Craig Laundy, Julia Banks and Russell Broadbent, and cross bench MPs Adam Bandt, Andrew Wilkie and Rebekha Sharkie. The latter now have a bill before the Parliament that provides for the urgent evacuation of children and their families to Australia for medical treatment. The ASRC campaigns stream is a leading contributor to the Kids Off Nauru #EvacuateNow coalition. 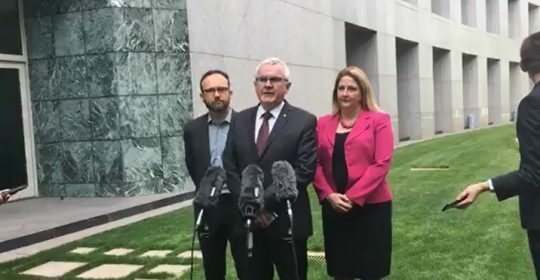 Our director of advocacy and campaigns, Jana Favero, was in Canberra with Getup’s human rights director, Refugee Council of Australia representatives and supporting doctors to deliver the open letter and meet with MPs to push for Parliament to respond adequately to the medical emergency on Nauru. The campaign now includes 100s of organisations, including Getup, World Vision and the ASRC. Together we have made it nearly impossible for the government ignore their responsibility for their offshore processing policy failure, and to continue to deny medical care to people on Nauru. Working together works. And after five years we’re closer than ever to getting children and their families to safety. An important step to ending offshore processing entirely, and getting everyone off Manus and Nauru, onshore detention and the discriminatory asylum legal process that has left people without a future for more than seven years. We won’t stop until people seeking asylum in Australia are free and have a safe, permanent home to rebuild their lives.